The picture below is one of the many reasons I love Oregon. Fall is my favorite time of year. As the leaves turn and the foggy mornings descend, Oregon comes alive. It’s Fall, well at least it is supposed to be around here. This morning the fog rolled in and is still hanging around, but yesterday it was a beautiful sunny day and somewhere in the 70’s. Despite the warmer temperatures the leaves have started to turn and fall to the ground. The colors on some trees is nothing short of magnificent. It’s the time of year when I want to roam around the area, explore and find new bursts of color. As a kid I remember us all piling into the car and taking a Sunday drive up to Mt. Hood. We would drive for hours just to see the amazing colors of all the trees turning brilliant gold, bright red and intense green. This weekend I want to grab my camera, tell Bailey “Let’s Go!” and jump in the car and go on an adventure. I want to find secret places, places that people rarely go to. Find something new to see and document the experience. It’s like a treasure hunt and the photos and memories are the rewards. It is a magical time of year, the busy summer has ended, the kids are back in school and it is time to slow down, pause and take a deep breath before winter comes. A pause that reminds us to stop, look around and really see the beauty around us. To drink in the color that will need to sustain us until the crocuses peek through at the end of winter letting us know that spring is around the corner. 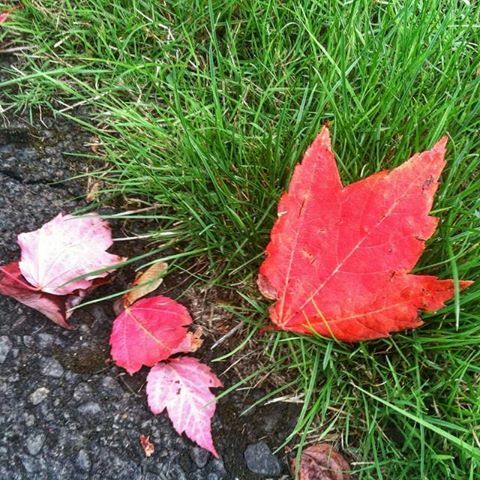 So don’t rush past that bright red leaf on the ground. Pause and enjoy the vibrant color before it fades. Jump in the car, take a picnic, and go find more treasures. 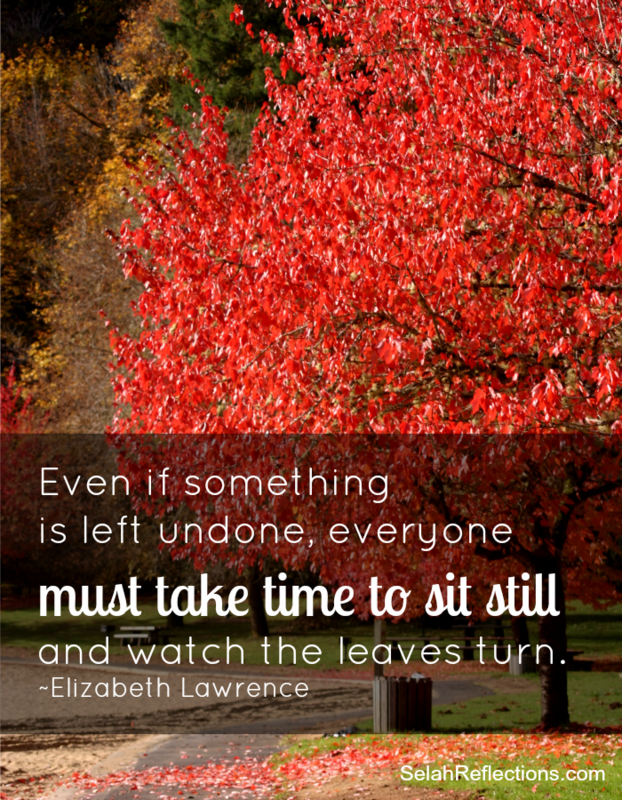 Take time to still and watch the leaves turn. Just got back from a weekend Scouting Camporee with my boys. Got to spend some time in nature. Took a hike by myself through the woods. It was so quiet and peaceful. Definitely an important part of a balanced life! The piece and quiet can be hard to get used to and adjust to. We live in such a noisy world so learning to be quiet is hard but important. Glad you had the opportunity!